If you’re not familiar with the parts of your plumbing system, how can you describe any problems you encounter? 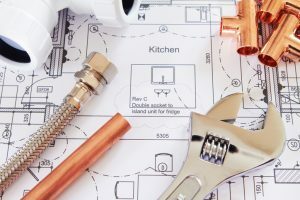 Does your home’s plumbing need a tune-up? Just like how your car needs regular maintenance to keep running as efficiently as possible, the same goes for the plumbing in your house. But if you’re not familiar with the parts of your plumbing system, how can you describe any problems you encounter? Let’s learn more about your home’s plumbing. The meters give you an idea of how healthy your home’s plumbing really is. When you equip the right meters, they’ll even let you know if a leak is present. Want more information about how much water you’re using each month? These meters can do that for you too. But all in all, between usage levels and leak detection, you can start saving money on your water bill each month, and even though these are usually small costs, you don’t want that cost to start rising. Water pressure is another important part of your plumbing system. If you don’t have enough water pressure, you might not enjoy showering. In fact, you might climb back out feeling as though you didn’t truly get clean. Wash away that feeling by looking at your pressure gauges. You’ll also want to avoid a scalding hot shower on full blast. The gauges should allow you to know when you need an adjustment. Don’t forget about your various utility valves! From time to time, you will need to shut off your gas valve, your electric valve, and your water valve. You might have a tankless water heater, but it could be making your water too hot for comfort. Also take into consideration the fuel sources your water heater uses. It’ll be helpful if you can turn them off when the time for maintenance comes around. Just be sure you can find the valves when you need to do so. This entry was posted on Friday, February 2nd, 2018 at 5:17 am. Both comments and pings are currently closed.